Happy June! How is it June already?? Time is sure going fast! I've got a beautiful and simple (for me) mani to share with you today. 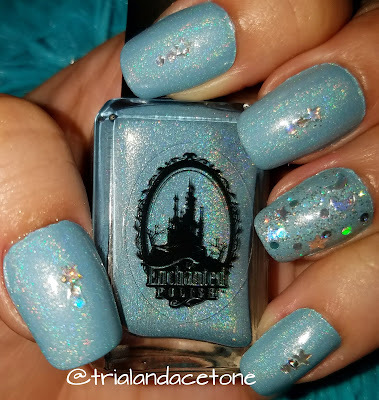 Enchanted Polish has recently changed. Chelsea (the creator) has become more active on social media and more engaging with customers/fans. As a result, it seems like the polishes that were once nearly unattainable and commanded such a high resale price are now pretty easy to get and not so high priced in the secondary market. I picked up one of the recent releases, Bubbles, which is a gorgeous baby blue linear holo. To snazz it up a bit, I added the topper Counting Stars by Different Dimension which features holographic stars, moons, and circles. 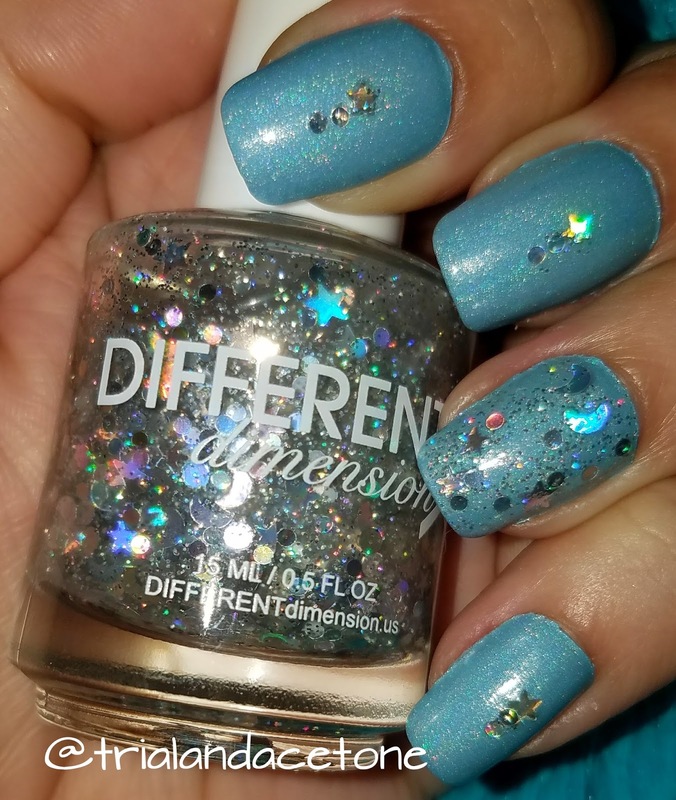 Different Dimension can be purchased here, join the Facebook fan group for sneak peeks and more! 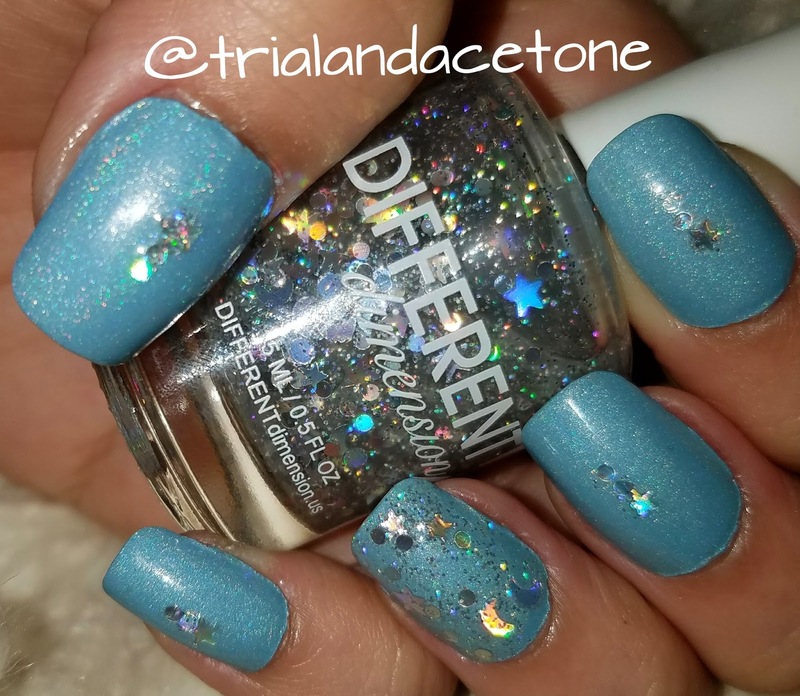 I love this combination of polishes! 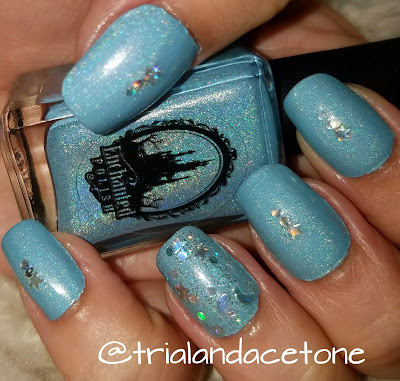 Pretty pairing! I like the star glitters...so cute! I am so happy the brand is easier to get! It makes me more enthusiastic about my purchases.